Continuing on with “Six Unimportant Things”, I bring you the Osmond years. 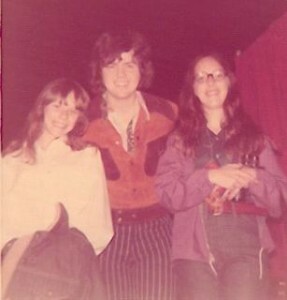 My childhood adoration of Donny Osmond has been well documented on this blog. Particularly in this post. In other words, I had already posted the picture. So, I cheated just a little. By not admitting that the photographic evidence already existed in my archives. I beg your forgiveness. But, I was really running out of ideas for the “Six Unimportant Things” meme. Ideas that I could back up with photographic evidence. But, it seems that more than 3 of you wanted to see this not so elusive picture of Donny. With his arm casually draped around an 11 year old me. So, I’ll parade it on my blog once again. You have to understand what a big fan I am was am was. Whatever. His eyes followed me wherever I went in my childhood bedroom. Because his posters adorned every square centimeter of painted surface on my walls. My mother was an awfully good sport about the whole thing. So much so, that she took me and my best childhood friend, Karen, to see an Osmond Brothers Concert in 1971. And she sneaked us in during a sound check. And got us close enough to breathe on the Brothers Osmond. Heavy sigh and giant heart palpitations. From left to right, me, Donny, and Karen. But what I haven’t exposed, are two other photographs that my mom snapped of two of the other brothers. I thought that just getting the top of our heads in the photograph was a good choice. Because I think we looked a bit fearful. As my mother snapped this photo, Mama Bear Osmond came up and told us that if we didn’t leave, she would have to call security. In other words, scram. Like that could have stopped my mother. Unlikely. A cherished childhood memory, to be sure. Of a sweet and simpler, more innocent time. All documented by my Insta-matic X-15 Camera. The one with the rotating flashcube on top. I’ll be revealing another Unimportant factoid with evidence tomorrow. Not sayin’ which one. as you felt about Donny Osmond, I felt about the New Kids. and I just found out they are reuniting!!! from the ashes of boy bandom emerges the band that begat them all. For me it was Shaun Cassidy. I loved Shaun Cassidy. I knew all of his songs. I had all of his records. But then he came to town and my mother wouldn’t let me go to the concert! I was the only one in second grade who didn’t go. And then later that year she didn’t let me go see Grease in the theatres! Again, I was the only 7-year-old who didn’t go. Looking back, I can see that I had a very wise mother. That first photo should totally be your header. Love it. And vavoom! Look at those legs! Oh girl, you make me laugh! I remember covering my pink painted (not my choice, my mom’s!) walls with Donny. When I would go to bed I would cover my head because even though I was “in love” with him it creeped me out that his eyes were on me AL:L the time! LOL. Did you see him on the Miss USA? Too corny. Even for me. He’s still a hottie! Donny is on the Today show this morning!? 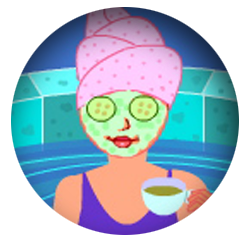 How funny…I just finished reading your post & I hear Donny on the TV!? your momma sounds like she was way cool! Can we still be friends if I tell you that I was born in 1971? I did watch The Donny and Marie Show as a kid. And let me say, Donny was pretty hunky in Technicolor Dreamcoat. I think I hate you. Nah, not really, but my room looked pretty much like yours and I was a card-carrying member of the fan club…I just never got to see him in person, let alone have him touch me. 1. LOVE YOUR BLOG LOOK AND TITLE! 2. I have claims to fame on my blog. We are cool, aren’t we? 3. I laughed out loud at your comment on Lysa’s blog. So I came on over to see you and I’m glad I did! Way back when (1983) I got to meet and interview Donny. I have to say he was a little bitter about the success of Michael Jackson. Remember, this was when Thriller was everywhere. I’d like to ask him now if he would change places with MJ? Wow. Just imagine what Mama Osmond would have shouted at your had she seen your bedroom walls. That’s some serious teenage devotion right there. You had an amazing mom! NOt only did you get the concert, you got the backstage tour as well. Bonus. My crush was Ralph Macchio and the closest I got was “The Karate Kid” … at the drive-in… with my dad. Well the movie was good and the memory is one to remember. Donny broke my heart when I was about 10. I sat down and poured out my love to him in a letter and mailed it. He never answered me and I was mad at him for YEARS! I remember checking the mail every day for such a long time before I finally gave up! LOL! Wow. That was a lot of Donny pictures in your bedroom. And unfortunately, I never got to meet my childhood crush. It was Antonio Banderas. No kidding. I was a very strange kid. you had a cool mom!! these has to be one of the best stoies in blog land I have read!! I love Donny Osmond too but I didn’t have a cool mom like yours to take me backstage wow!! I saw them in concert however didn’t meet them. Oh, Donny was sooooo cute back then!!!!! I loved Donny Osmond and I’m so ticked that he looks the very same as he has for the past thirty years (or is it twenty???) and I don’t. Boo Hoo. You, of course, are as adorable as ever.